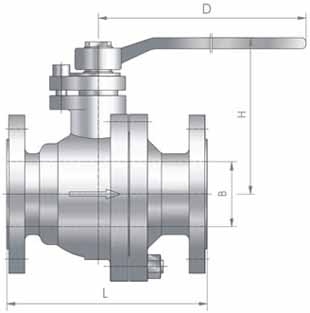 Metal Seated Floating Ball Valve - Stainless Steel Pipe Fittings, Flanges, Valves,Maxbright Group Inc.
High cycling than 10000 times per year Severe Corrosion. 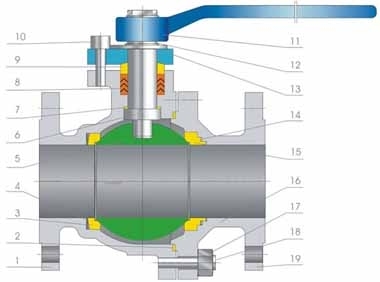 High pressure valve and seat design. Gasket PEEK Graphite+304S.S. PEEK Graphite+316S.S. Gland Packing PEEK Graphite+304S.S. PEEK Graphite+316S.S. Stem Bearing PEEK Graphite+304S.S. PEEK Graphite+316S.S. Seat Seal Gasket Graphite+304S.S. Graphite+316S.S. All torque valves shown on chart are for "wet"(water and other nonlubricating media)on-off service.For "dry" service,multiply values by 1.3. For "lubed" service,multiply valves by 0.95.